HOUSTON - A woman was charged Tuesday in connection with a weekend hit-and-run crash that killed two people. 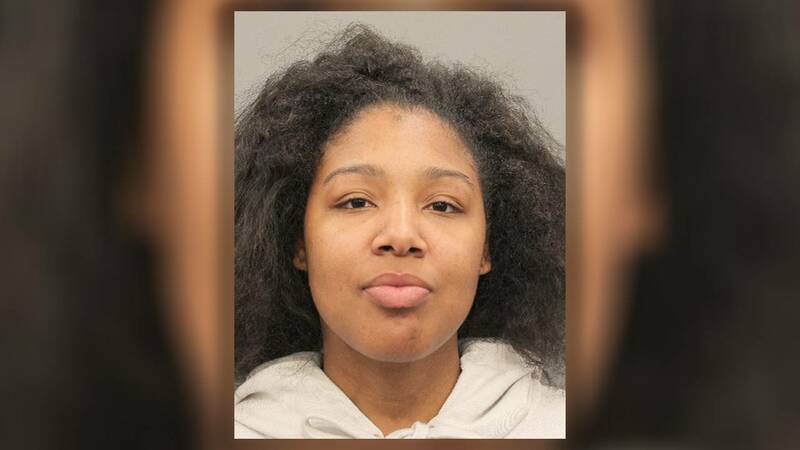 According to court documents, 20-year-old Jada Mimms, of Houston, was charged with two counts of failure to stop and render aid in connection with the Saturday crash in the Heights neighborhood that killed 64-year-old Jesus Perez and 55-year-old Lesha Adams. Investigators said Adams was helping Perez, who was in a wheelchair, cross Shepherd Drive at West 10th Street about 9:30 p.m. when they were hit by a blue Chevrolet Cruze. Both later died at Ben Taub Hospital. According to an affidavit, Mimms said she waited in a nearby parking lot for about five minutes after the crash because she couldn’t see out of the windshield because of the damage. Mimms’ passenger said Mimms then drove to the home of her grandfather, who convinced her to return to the scene, according to the affidavit. Jada Mimms, 20, of Houston, was charged with two counts of failure to stop and render aid, according to court documents. Investigators said Mimms returned to the scene about 30 minutes after the crash and lied about having driven to her grandfather’s house, according to the affidavit. According to the affidavit, investigators found hair in the windshield that would have been visible to Mimms. Police said Mimms showed no signs of intoxication. Julio Vela is representing Mimms. “She is obviously very sad and a little bit emotional and a little bit struck as to what is going on,” Vela said. Sean Teare, a prosecutor with the district attorney's office, said it's the first step in a long process. He said that leaving the scene of an accident is never acceptable. “Even if you aren’t at fault for the crash, you have got to stop and make sure that these people can get the medical help they need. You might save a life that way,” Teare said. Teare said that more charges could follow. “Anything from negligent homicide to manslaughter. We are waiting on speed and accident reconstruction. There are other things to determine -- whether a phone was in play or some other type of distracted driving,” Teare said. Mimms’ grandfather didn’t respond when KPRC2 went to his house for comment. Mimms is being held in the Harris County Jail on $30,000 bond. If convicted, Mimms faces up to 20 years in prison.